Alhamdulillah, I managed to catch up with Peter Gould last Friday in Kuala Lumpur. We've been in contact since the last five years when Facebook is still a ghost town. 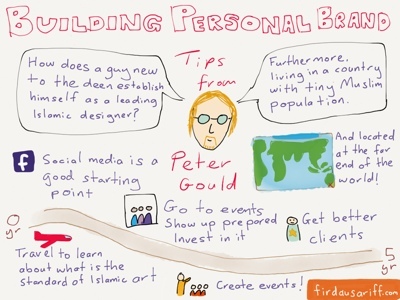 Here's his tips on Personal Building captured in Sketchnote form.